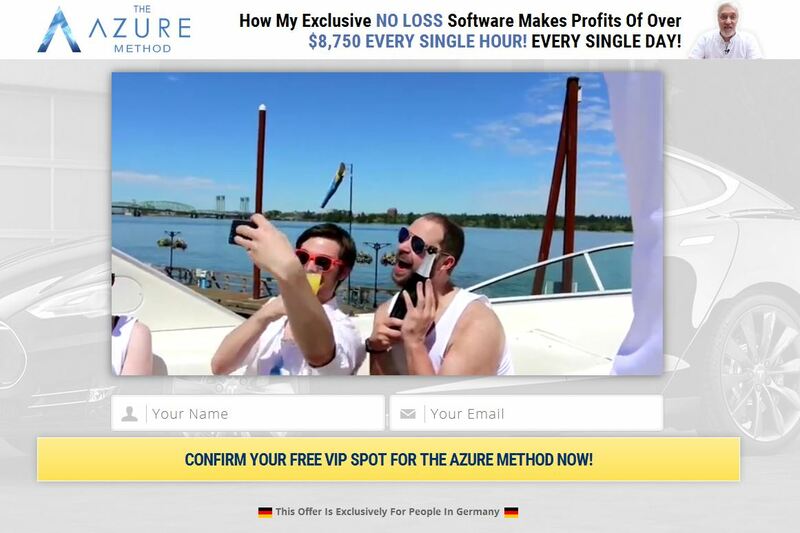 This review provides proofs that the „Azure Method“ is a new binary options scam. It is presented by Anthony Azure. Azure says that he can give you a binary options trading app called the Azure Method. It allegedly can make you big money on autopilot, you don’t need to know or learn anything. Because Azure is looking for beta testers, you can get his trading program for free. The Azure Method allegedly hasn’t had a losing trade in months, so it is very profitable. 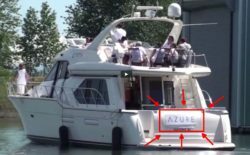 Let’s start by explaining how the Azure Method scam works. Anthony Azure is a fictitious character played by an actor. All the people you can see in the video are paid actors too. The only aim of the Azure Method is to make you deposit money with a selected unregulated broker. Because it will earn an affiliate commission to these scammers. If you then trade your account with the Azure software, you will lose your money. End of story. All the bank account and trading account statements and testimonials you can see in the video are fake. They were shot with paid actors under fake names. Look at the example on the right, the real name of this woman is Alexandra Blatt, not Carla Bianchi. Binary options scammers like to show expensive things in their videos, so in this one you can see a boat, a mansion and a Tesla car. But all these things are rented, this is why you’ll never see registration plates etc. Look at the boat, the Azure logo has been placed there obviously in a provisional way just for the video. 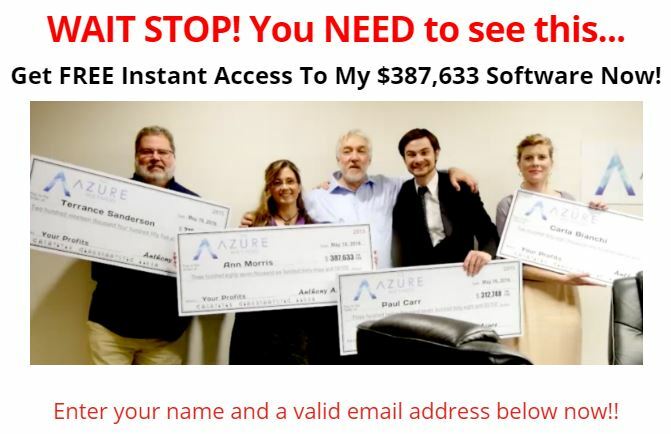 The best proof that the Azure Method is a scam comes with the software that is supposed to make money. Look at the picture on the right, the Azure program (top right corner) is exactly the same piece of software as used by a lot of binary options scams. It even uses exactly the same colors as the Millionaire’s Code scam. This software is used by scammers only and it loses money to its users, we have a lot of feedback about it. The Azure Method is just a scam that abuses binary options. Its aim is to make you deposit with an unregulated broker and lose your money in trading with a crappy software. If you want to see how real money is made with binary options, try a free demo account and see how trading works and what you have to learn in order to achieve profits.